Sharks Don't Kill People. People Who Kill Sharks Kill People. When it comes to causes of death, sharks are on the very bottom of the list as the leading causes. Your chances of dying in a car, being shot in the street, being struck by lightning while playing golf, slipping in your bathtub or dying of food poisoning in a restaurant are far higher. As for animals, dogs, elephants, ostriches, bees, mosquitoes (especially mosquitoes) horses, crocodiles, deer, moose, and bears are far more likely to kill a person than a shark. And when it really comes to causes of human mortality, no animal is more dangerous than the human animal. So why the ridiculous hysteria about sharks? The three main culprits are 1) the media, 2) opportunistic politicians, and 3) cowardly surfers and spear fishermen. The media began their defamation of sharks with that abomination of a film by Stephen Spielberg called "Jaws." This movie seeded dozens of anti-shark "B movies" and led to the inaccurate, demonizing portrayals of sharks on television. Politicians, always quick to harness the fears of the public, seized on the hysteria as a cheap way to make themselves appear as defenders of their more gullible citizens from monsters. This form of behavior by politicians goes back to the days of dragon-slaying and even to the current crusades against wolves. And now we have the craven bleatings of a very small minority of surfers who want the sharks wiped out so they need not worry about the fact that their boards and their behavior have a tendency to attract sharks because they tend to look like shark food, meaning seals. From the perspective of a shark under the surface, a surfer on a board most definitely looks like a seal. Real surfers are not the problem. They understand the situation and they realize that when one ventures into the sea looking like a seal, it is wise to take precautions, like not surfing in areas at a certain time of the year or time of day when sharks are looking for a meal. Also not wearing reflecting watches, white bathing suits or boards. As for spear fishermen, their behavior of spearing a fish and spilling blood in the water is an automatic magnet for sharks. The real miracle of all this is just how few shark attacks there actually are considering the tens of millions of people who surf, swim, fish and dive in the sea. The reason for this is that sharks simply do not naturally attack human beings and most shark attacks are simply cases of mistaken identity. And because of this, surfing and spear-fishing are actually safer than playing golf, where more golfers die each year from lightning strikes than surfers die from shark attacks. I have swum, surfed and dove with sharks, including great whites, hammerheads, tigers, bulls and blues amongst others. I was never threatened. I have had tigers circle me, and great whites give me a curious stare, but not once did I ever feel my life was endangered. But even if it was, I share the position that my friend Kelly Slater holds, and that is that the sea is the home of the sharks and it is not our place to invade and then to complain. 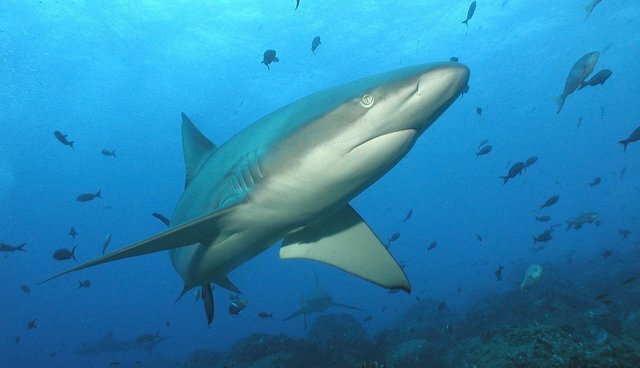 For the truth remains that sharks are essential for the health and well-being of oceanic eco-systems. We needs sharks to maintain that health and well-being, for the loss of the shark in our ocean will have very serious consequences and these consequences will negatively impact humanity. Why has there been a slight increase in shark attacks in recent years? The reasons are many and almost all caused by humans. Western Australia ships hundreds of thousands of live sheep and cows to Asia every year and these livestock vessels pour blood, urine and feces into the waters, attracting sharks. Hundreds of bodies of dead animals are also thrown overboard. People routinely ignore warnings at beaches. And probably the most significant factor of all is that humans are depleting the ocean of fish and this is causing sharks to venture towards shore in search of food, yet even so, the number of shark attacks are remarkably low. Most shark attacks result from human ignorance and because of the degradation of oceanic eco-systems.